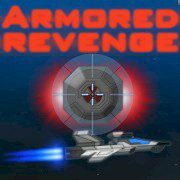 Fly on your tiny, but extremely powerful ship and destroy all blocks and obstacles on your way. Clear the path towards the safe area and collect ammunition on your way. What would you do if you had too many obstacles ahead? Luckily, this ship is made of steel and armored with advanced weapons. Fly forward, avoid hitting the obstacles and collect missile boxes around to be able to launch and explosive shell. This should be easy for the players who know what to do!